Amazon and Overdrive are back in the online librarian conversation (again), this time lead off by a video rant by Sarah Houghton along with posts by David Lee King and the Annoyed Librarian. (There was a post by Bobbi Newman on the topic about a month ago when it first came out as well as my own take.) It’s being described by such terms like screwing, sucking, and other terms to make some conservative filtering software blush. I still don’t understand the outrage completely. Databases for years have diverted users to outside sites where they would have to purchase the article. Where is the outrage for that practice? How is a book talk or a book club or even a story time not a basic endorsement for a particular book? Or an author talk where we invite authors in and allow them to sell their book on the premises? While I will concede the former does not have an overt endorsement to purchase, it’s still a viable option for the patron and something passively encouraged by the latter. In general, presenters are allowed to pass out advertisements or even sell their wares at programs, even some that we are paying for them to do. While we’d like to pretend it is a neutral arrangement, there is no denying that librarians engage in commercial endorsement even if they don’t mean it. Why are some arrangements considered to be good and others are considered bad? Could the information that Amazon possesses about a library patron who borrows books on their Kindle from the library through Overdrive meet the legal definition of a library record? a. "Library" means a library maintained by any State or local governmental agency, school, college, or industrial, commercial or other special group, association or agency, whether public or private. b. "Library record" means any document or record, however maintained, the primary purpose of which is to provide for control of the circulation or other public use of library materials. L. 1985, c. 172, s. 1, eff. May 31, 1985. L. 1985, c. 172, s. 2, eff. May 31, 1985. At first glance, I think there is a good argument that the information that Amazon has is in fact a library record and therefore subject to statutory confidentiality requirements (at least within the state of New Jersey). It is a record maintained for the control of circulation of library materials; in this case, the license of an eBook for use on the Kindle. While the counterargument is that invokes the first exception regarding disclosing a record as necessary for the proper operation of the library (that there needs to be authentication that a patron is a member of a library that has purchased eBook licenses for Kindle books from Overdrive), I would answer that the proper operation of a library does not include an overt offer to allow a patron to purchase library materials upon the approach and arrival of their due dates. That the very commercial nature of the solicitation (in the disguise of a library notice, no less) represents a misuse of library records and the personally identifying details contained within. I’m not sure of the extent that this would remedy to current practices, but I’d say it would knock off the “would you like to buy the book?” announcements in short order. Personally, I think this is a question that should be subject to further examination by those law talking folks known as lawyers. Your next move shouldn’t be to call Overdrive or Amazon to express your outrage; it should be to your State Librarian or State Library to have your state Attorney Generals check into the possibility of library records being breached. While we can only warn people about the ramifications of their actions when it comes to privacy and let them make their own choices, we can maintain our end of the bargain when it comes to their library records. I certainly hope someone looks into this. This entry was posted in library science and tagged amazon, ebooks, librarianship. Bookmark the permalink. Good post! On the Amazon “buy now” dealie – I have no problem with Amazon doing that, and I’m sure both companies knew this was part of the plan early on. My problem is that Overdrive HAD to have known about this, and didn’t tell their customers about it. Easy enough to do, too – just add a little “ebook borrowers will be sent a “buy this book” offer.” Done. But nope. Nothing. Nada. Thanks, Overdrive, for that Oversight. And on the law stuff… yes, definitely – we need to be looking into that. But. If we do – who gets in trouble? Who willingly gave library records to two different third party vendors, and even signed the contract to do it? Yep – the library. Not Overdrive, not Amazon. If it is a matter of disclosure, then I would say that Overdrive dropped the ball. I disagree as to who would get in trouble here. A disclosure by a library for the normal course of business is an acceptable exception in NJ. Now, if someone takes that information and uses it for other purposes (like selling someone a book), then it goes beyond the scope of the disclosure to ensure authentication of an eBook borrower. Bah, hit enter too quickly. I would argue that it is subject to library record protection. Yes, the library makes the disclosure, but when that information is used for non-library purposes (such as making a sale offer), then it is using the patron information for non-library use. Andy you address one issue of the problem, the selling. But there are many pieces and the one I have addressed many times is the information and statistics Amazon now has that we don’t. They have them, we don’t. period. OverDrive should have negotiated better on our behalf. Sure maybe we could have asked for them ahead of time but we weren’t given any information about how the process would work. Not even a sneak peak, many libraries were just informed that it works starting today! That isn’t right. It works differently than the previous model of Adobe Digital Editions and the OverDrive Media Console. Something shady happened and we should be asking questions. But Overdrive isn’t negotiating on our behalf; they are negotiating on theirs. Yes, we are the client but it’s a middleman operation here. Amazon is notorious for not giving out numbers; why would Overdrive be in a better position to get them to share with us? I agree with you. I’d love to have the numbers. But I think that ship has saled. I don’t disagree, but I think its important to point out where we failed, where OverDrive failed. We did get a bad deal. We need to be aware of that. I think part of the reason people are upset is the pervasive feeling that this deal (and others in this space) were made without libraries at the table. Libraries are a stakeholder, yet it seems like Amazon and OverDrive got together in a room, came up with a deal, and handed it to us, take it or leave it. There’s a slogan in the disability advocacy community, “nothing about us without us” — and it’s a good slogan, and a lot of library politics fails it badly. I think your legal question is very interesting; I too would like to see a lawyer address it. I’m a bit tired of this “no seat at the table” bit. Since we have the money, we have the power here; there has to be a will to leave bad deals on the table rather than give in. The rationale to capitulate is an old one; that we have to provide no matter what. Which is how we got in trouble in the first place with our budgets and the “doing more with less” crap. I’ll play devil’s advocate for once: if patrons buy books for their Kindle then they don’t care if Amazon knows what their reading. Same is true of Apple and Google digital content and geolocated services. If our patrons don’t care about their privacy in this regard but librarians / libraries do – where does that leave libraries? A road block between what people want and expect? That’s a FAIL right? Maybe most librarians don’t care about patron privacy, but only a vocal minority does. I’m hard pressed to believe most library admins would tell local law enforcement they needed a warrant to access patron info. They would probably celebrate sharing of such info without a warrant as a victory against crime. Case in point: this local headline about random TSA searches of trucks in Tennessee http://t.co/rC4txHBu. How much of an advocacy role are we expected to take? The legal ramifications for municipalities are interesting. Maybe it is not the librarians’ business, but the legal department’s. Maybe librarians should just go with the flow. For the record, I personally I’m against current ebook purchasing models. I own popular ereaders and a smartphone purely for professional purposes. Without them, without knowing how to use them, I would behind the curve professionally. 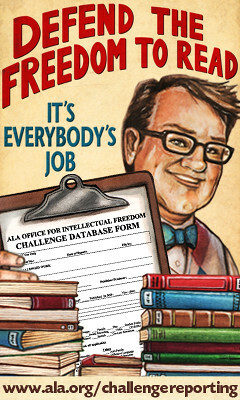 How many of us wanted to become librarians because we were interested in intellectual freedom? I think you are right in a couple of ways. If someone is borrowing books on their Kindle, they already have enough disposable income to buy a reader (which is really a sales platform for Amazon, given how it can only read Amazon content). They were buying and not borrowing ebooks already. Like I pointed out in my previous post, Amazon already has their credit card number and billing information as well as a record of the books they have purchased and any notations. It’s doesn’t get anymore personal than that; the information from the library is almost minor in comparison. What I really don’t get is how people complain about deals that they can legitimately walk away from. No one is forcing anyone to buy anything, no matter how people want to delude themselves in the mission to provide access at any means necessary. Thanks for taking a calm and rational approach to this issue, Andy. I am wondering why everyone is missing one point. OverDrive is not passing patron data (not even a barcode) to Amazon during these transactions! They are sending only identifying ebook data to an Amazon account. Any Amazon account. When the patron chooses to use their Amazon account with personal data, does that account then become a library record? I think not. Another option is for the patron to create an anonymous Amazon account for their library checkouts. Of course, this is not obvious, but it is the first release of this functionality and we can ask OverDrive to make improvements and messaging to inform our patrons to help them make informed choices. I think OverDrive is cognizant of library issues with patron privacy, and that is why they do not share patron data in their part of the Amazon transaction. They may not have realized the extent of library responsibility for informing patrons of their privacy choices beyond their part of the transaction. I believe OD worked hard to negotiate this service with Amazon, but they were at the mercy of a company that could care less about library users. Amazon dictated the rules, not allowing disclosure about any details of the program, to the point that OD could not effectively beta test with a library partner. I am certain that OD has learned from this experience, and will be sure to negotiate library testing (and input) into future 3rd party development agreements in the future. In the meantime, we can work with them to inform them of the need for more explanation about data privacy to the patron in the transaction so they can address it. The bottom line is that no patron data is shared from OverDrive, and Amazon retains tight control over how customers use their Kindles. And that is not OverDrive’s fault. Off the top of your head, do you know if you can you create an Amazon account without using personal information like payment options? That’s a good question. I think you can opt for it not to remember your payment information, but I don’t know what the minimum requirements are for creating an account. You don’t have to enter a credit card to create an Amazon account (unlike Barnes & Noble) and I don’t think you even have to enter a physical address, so theoretically Amazon really only needs your email address – especially if you use one of the free Kindle apps to read on a device like your PC and don’t even buy the kindle at all. It is the user’s responsibility to choose and manage his or her desired privacy level. When a user decides to download the Kindle version ebook from Overdrive, they have just given their consent, pursuant to section b of the law: “Disclosure is requested by the user”, so I don’t think the library has violated privacy if the transaction is at the patron’s request. This is a great discussion on this topic. The deal may not be perfect, but I personally think the outrage is a bit overblown. In my library, customers are all about employee-owned IT. They don’t want to borrow our kindles anymore: they want our content delivered to their own device and they want it to be easy. Many of them are long-time kindle users, They are thusly comfortable with Amazon knowing what they buy and they don’t care if Amazon knows which books they borrow. Before even looking at Overdrive options, Amazon already knows plenty about these customer’s reading and shopping habits. As someone above mentioned, if the fish stinks, don’t buy it. Tell your customers that you can no longer provide OD /Kindle service until the vendor tries to work with your terms and tries to understand our motivations. Some customers will be grateful that you are acting in their best interests and others will condemn you for being over-protective gatekeepers of information. Although you do not need to enter a credit card number to have an amazon.com account, to read Kindle content you do have to have a “device” registered using a phone number or an email address in order to receive anything. Great thread. 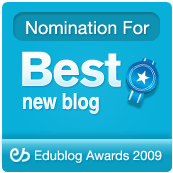 I have been following Sarah, Bobbi and David’s blogs for a while now and I was glad to find this one. Andy, great job. Maybe I can add something here from a little different perspective. Amazon has other motives besides accumulating our information. Besides the sales motive, this move into libraries strengthens their position against the Nook and Barnes and Noble. Overdrive allows libraries ebook access to a title which includes all formats the ebook is published in. For a long time Nook had most of the action. Then suddenly Kindle jumps in with three times as many device users plus access via computer and mobile phone. Now the Kindle and the Nook users are battling for the same ebook access copy. Amazon is playing on availability or lack of it. Patrons, finding many of the newer titles all checked out, look for other alternatives. Amazon says ‘Buy Here’. I believe it is more about squeezing Barnes and Noble then the reader’s information. While I applaud the diligence, remember you can create and use an alias Amazon account with no personal information, no credit card, and OverDrive/Amaazon will work just fine.